Cash flow management, systematically arranged information on managed assets and assumed liabilities, possibility to communicate with the employees of the bank – everything you need to grow your business is available in one place. Incoming international payments – possibility to view received international payments, when the funds have not yet been credited to the account or credited during the last 2 years. Currency exchange – conversion of currency at more beneficial rate than in case of currency exchange in cash in bank branches, possibility to obtain information about exchange rates. Ordering new cards – application for the acquisition of a new company credit card and ordering a business debit card with your chosen delivery option. Blocking and unblocking the company cards – temporary blocking of company cards. If a company card is not unblocked within 10 days, it will be blocked permanently. Administration of e-invoicing – terms and conditions of the agreement, reports on the applications for e-invoices submitted in the bank, already submitted e-invoices, and e-invoice data files. Subject to the conclusion of respective agreement, a possibility to see the agreements of automatic payment of e-invoices as well as payments and reports made under such agreements. POS applications – file the application for acquisition of POS (point of sale) terminal via the Internet and conclude the agreement to guarantee the services of maintenance of payment cards. Possibility to file an application for the acquisition of an extra Swedbank POS terminal. POS reports can be obtained via the Internet and saved in PDF or CSV format. Information about obligations (loans) with the bank – conditions, amounts due and loan repayment schedules. Overdraft – credits in bank account reports. Factoring – agreement condition and real-time reports. Guarantees – remote issuance of guarantees. Letters of credit – application for receiving a letter of credit. Documentary collection – application for receiving a service. Leasing – review of the terms and conditions of the agreement, applicable interest, relevant installment schedules, and payment of leasing agreement (-s) invoice. Motor own damage insurance (CASCO) – review of signed agreements, an option to receive an individual quote for CASCO with a help of spreadsheet and fill in an application for service. My portfolio – reports on profitability of securities, account balances, pending security transactions, applicable legal acts, exchange and central banks’ rates, interest on deposits, etc. Deposit agreements – possibility to conclude deposit agreements, follow accrued interest and if necessary terminate the deposit agreement. Overnight deposit report – if you have an active deposit, you can follow the movement of funds. Purchase and sale of stocks, prices, indices. Securities transfers and subscription for the purpose of viewing your securities portfolio in one place. Information for successful investment – market interest rates, market and global economic reviews, information about investment strategy, as well as questionnaire for assessment of knowledge, experience and risk in the field of investments. Currency trade and exchange rate risk management – Spot, Forward, and Swap deals. Liquidity management and investment – deposits with various periods of maturity (shortest deposit – one night (O/N), longest – 1 year). Reports – detailed reports on closed transactions according to the parameters set by the user. Reports are presented in a form of transaction statement. News and reviews – information on premier news and events of the financial market, reviews of financial market, calendars of macroeconomic indicators, schedules of exchange rates, etc. World economy outlook – the analysis of economic development, trends, and future perspectives of the major regions of the world prepared by Swedbank’s analysts. Minimum transaction amount allowed in Traderoom is 1 500 EUR for currency transactions and 30 000 EUR for term deposit deals (or equivalent in a foreign currency). Administering an automatic interest transfer – automatic interest transfer order (cancellation). 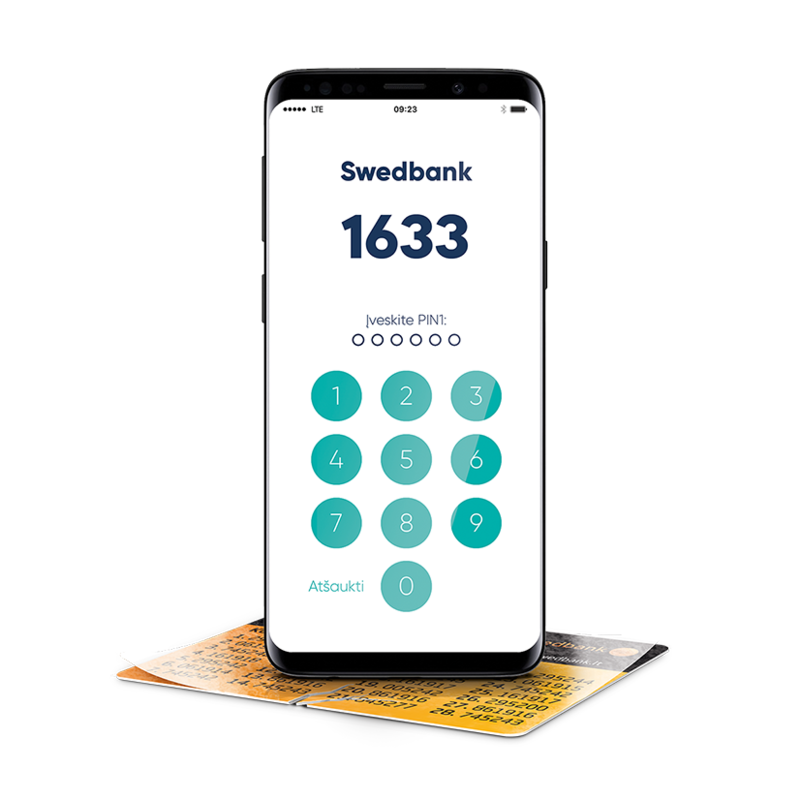 Opening a new account – opening account with another Swedbank Group or foreign bank via Swedbank, AB or opening account with Swedbank, AB through a foreign bank. Bank messages – possibility to use messages of special forms for adjustment or cancellation of payment, order of cash or copy of payment order, change POS terminal conditions, etc. Uploading and signing documents – possibility to remotely sign or upload documents required for the decision-making by the bank and review the status. E-services – connection to e-services systems of the State Tax Inspectorate, Centre of Registers, and other public e-services. Quick payments – prompt transfer of money to recipients of funds who are clients of Swedbank. If the recipient of funds is a client of another credit institution in Lithuania and payment order is submitted before 3:00 p.m., the transfer is made on the same day. Read more. Lower charges than the charges for transfers in bank branch. Possibility to choose the most suitable service plan for a more efficient management of the funds. Convenient for Baltic companies. If you have accounts with Swedbank Group banks in Latvia, Estonia and Lithuania, all such accounts in the Corporate Internet Bank can be managed using the same identification tools and the same login. Private and corporate accounts – by a single login. If you have private and corporate accounts, you will be able to manage them in the Corporate and Private Internet Bank environments using the same identification tools. You can use direct switching to these environments without repeat entry of your password. Security – Corporate Swedbank Internet Bank is equipped with all most advanced security solutions and three-level security system. Read more. Privacy – possibility to create a personal greeting and password, create the list of most frequently visited pages “My shortcuts” and names of your account names. Arrive to the nearest Swedbank branch (with legal entity’s registration documents and personal identification documents of legal entity’s representative). Swedbank customer service branches. In order to use Internet bank, you will need a bank account opened with Swedbank. If you don’t have it, we will open the account for you free of charge. Sign the Electronic Services Agreement. Corporate Internet Bank can also be reached in Swedbank branches and Internet Bank terminals installed in self-service zones. Bank employees will kindly show you how to connect to and use the Internet Bank and tell you about the services provided by Internet Bank. Addresses of branches where you can find the terminals with Swedbank Corporate Internet Bank are provided here.